Multipack manufacturing, supplying, exporting and importing Filling & Packaging Machines. Our product range is demanded in beverage, food processing and cosmetic industries. Multipack Packaging Machinery is engaged in manufacturing, exporting, supplying and importing Filling & Packaging Machines. 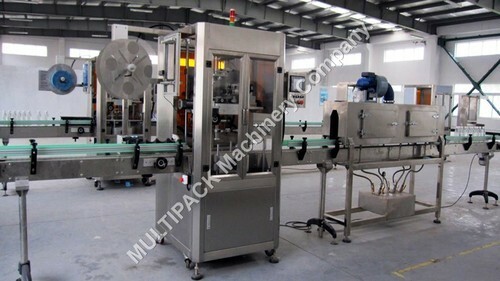 Multipack delivers first class bottling machines, Shrink Sleeve Applicator, Shrink Wrapping machine, Shrink Tunnels, Auto Side Seal Machine ,Stretch Wrapping Machine, BOPP Label Applicator, Cup Rinsing. The offered product by us are rendered using highly advanced equipments and tools. Widely reckoned for reliability, cost-effectiveness and timely execution.